Left at an orphanage as a child, Thea Reed vowed to find her mother someday. Now grown, her search takes her to Pleasant Valley, Wisconsin, in 1908. When clues lead her to a mental asylum, Thea uses her experience as a post-mortem photographer to gain access and assist groundskeeper Simeon Coyle in photographing the patients and uncovering the secrets within. However, she never expected her personal quest would reawaken the legend of Misty Wayfair, a murdered woman who allegedly haunts the area and whose appearance portends death. A century later, Heidi Lane receives a troubling letter from her mother–who is battling dementia–compelling her to travel to Pleasant Valley for answers to her own questions of identity. 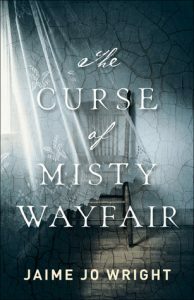 When she catches sight of a ghostly woman who haunts the asylum ruins in the woods, the long-standing story of Misty Wayfair returns–and with it, Heidi’s fear for her own life. This book was everything you wanted in a suspenseful novel. A little romance + A little adventure + A little Mystery+ A little Suspense.= A plot that keeps you guessing until the end. I tend to not read to creepy of books. This book is creepy but it is so well written and I was so invested in the characters that it didnt freak me out as much. It a time slip novel so the story follows the life of Thea in 1908 and Heidi in 2008. I’ve read dual timelines where one story Is more interesting then the other but both captured my interest. I thought the whole momento Mori fascinating and a little creepy. I found it interesting how the diagnosis of depression and treatments had changed in 100 years. I love how Jaime Jo Wright weaves the Lord’s truth throughout this story. I believe that the reader can learn valuable truths right alongside the characters. I recommend this book to my friends and family. I received this book from the publisher to read and give my honest opinion. 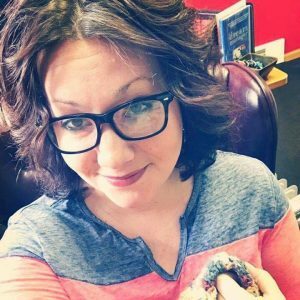 Professional coffee drinker Jaime Jo Wright resides in the hills of Wisconsin writing spirited turn-of-the-century romance stained with suspense. Coffee fuels her snarky personality. She lives in Neverland with her Cap’n Hook who stole her heart and will not give it back, their little fairy TinkerBell, and a very mischievous Peter Pan. The foursome embark on scores of adventure that only make her fall more wildly in love with romance and intrigue.